This guide covers useful research tools in terms of citation managers or bibliographic management tools for managing references, guides to citation styles and tools for writings. Managing references can be done using bibliographic management tool or also called reference manager or citation manager. The application is used by scholars and authors to record references or citations and apply different bibliographic citation styles. Example of popular bibliographic management tools are Endnote by Thomson Reuters and Mendeley by Elsevier. 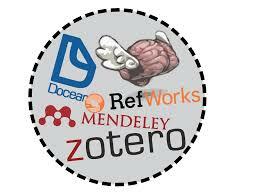 The development of reference management softwares has been driven by the rapid expansion of scientific literature. 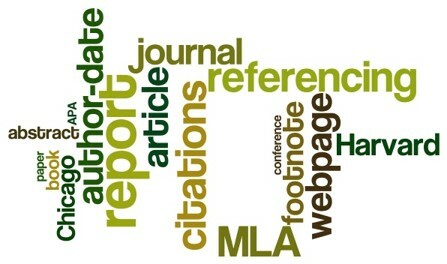 These software normally consist of a database in which full bibliographic references can be entered, plus a system for generating selective lists of articles in the different formats required by publishers and scholarly journals and integrated with word processors so that a reference list in the appropriate format is produced automatically as an article is written, reducing the risk that a cited source is not included in the reference list. They will also have a facility for importing the details of publications from bibliographic databases. Once a reference or citation has been recorded, it can be used time and again in generating bibliographies, such as lists of references in scholarly books, articles and essays. In short, the application help authors to store, manage and search references, create list of references in word processors, import references from online resources, and generate bibliography according to many citation styles. Request for your EndNote X8 installer (Windows or Mac). Email us or consult User Advisory Desk. Use other citation managers. Discover more at "Comparison of reference management software". The manner in which you are required to write the in-text citation and the reference list is determined by the Reference Style. There are many different citation styles. The best known are APA, MLA, and Chicago/Turabian. Each academic discipline generally requires a particular citation style. The fully automatic bibliography maker that auto-fills. It's the easiest way to build a works cited page; and it's free. Search for a book, article, website, or film, or enter the information yourself. Add it to your bibliography and continue citing to build your works cited list. Download your bibliography in MLA, APA, Chicago, or Turabian format. Bibme is very easy to use, but you need to pay for a pro account to save your bibliographies. Citation machine helps students and professional researchers to properly credit the information that they use. Its primary goal is to make it so easy for student researchers to cite their information sources. However, again, if you want to save your bibliographies you need to pay for a pro account. A reference manager, knowledge organization, and task planning program for Windows, published in Switzerland. The free version is limited to 100 references per project, so it is ideal for students. Is also integrates with Chrome and Word. Cite This For Me allows you to automatically create website citations in the APA, MLA, Chicago, or Harvard referencing styles at the click of a button. Simply browse to the page you wish to cite and click the button to generate a correctly formatted citation. Then copy-paste the citation into your assignment, or add it to your online bibliography for safe keeping until later. Cite This For Me also comes with a Google Chrome extension. Cite your work at APA, MLA, and Chicago without leaving the homepage in 3 easy steps. The fourth step allows you to download your bibliography; you can even save it if you create an account. Your citations will be kept as long as you keep visiting the site, but after four days of inactivity your citations will be deleted. Store, organize, and share your education and research for free. Creating internet-research bibliographies canbeinfuriating to say the least, so Citelighter grabs all relevant info to create accurate citations for you. The best part? Anything Citelighter misses you can add yourself, and it will save your additions for future users! An open source reference manager that is available for Windows, Mac, and Linux, and offers PDF metadata retrieval, free online backup of your mind maps, a monitoring function for new files (PDFs, images, etc. ), and an MS-Word add on. Oh, and it also allows you to have full control over your data (no registration required). Creating a complete and correctly formatted citation is a challenge for many students, especially documenting sources such as art and music that aren't included in traditional citation formats. Create a citation formatted in either APA or MLA style. Students will still need to completely document the information, but the Citation Maker will format it for them. Creating creates citations from ISBNs (which means that your book needs to have a clearly visible ISBN), OttoBib allows you to enter more than one ISBN at a time. Perfect for students who use books for their sources, it also comes with a Google Chrome extension. An extension for your Google Chrome browser, RefDot makes citation easy; it allows you to cite and store books or journal references, as well as add books automatically from Amazon book pages, which comes in handy. Zotero is a veteran and completely free browser based plugin that helps you collect, organize, cite, and share your research sources. This tool lives right where you do your work; in the web browser itself. Whether you need to create footnotes, endnotes, in-text citations, or bibliographies, Zotero will do all the dirty work for you, leaving you free to focus on your writing. Create citations in Word and OpenOffice without ever leaving your word processor and add references to an email, a Google Doc, or some other editor simply by dragging one or more references out of Zotero. The only disadvantage? Zotero doesn’t allow you to annotate a PDF document. A great citation generator, EasyBib compiles your bibliographies and citations for you, saving you valuable time. You don’t need to create an account if you are using MLA, but Chicago or APA style citations require a paid account. EasyBib also offers an app for iOS and Android, so you can cite your sources on the go. Grammarly is a writing-enhancement app developed by Grammarly, Inc., and launched in 2009. Grammarly's proofreading and plagiarism-detection resources check for a writer's adherence to more than 250 grammar rules. Add Grammarly for free to Chrome, Safari, and Firefox browsers. Word Counter is a word count and a character count tool that helps to count the number of times a word has been used in a document. The tool is ideal for students who have a tendency of overusing certain words. Simply place your cursor into the box and begin typing. Word counter will automatically count the number of words and characters as you type. You can also copy and paste a document you have already written into the word counter box and it will display the word count and character numbers for that piece of writing. MindMup is a free software mind mapping application which enables users to store maps on several cloud storage providers, including Google Drive, Amazon S3 and GitHub and collaborate in real time with other users. A good number of students know how to research and come up with great concepts, but fail to execute them. MindMup is a very useful tool that helps students organize their ideas.